Dango are sweet Japanese rice dumplings that come in various flavors, such as red bean paste (anko), green tea, and soy sauce syrup. Learn what exactly this Japanese sweet specialty is, its history, types, and a recipe for making them yourself. Dango are sweet Japanese rice dumplings eaten all year round. Their chewy texture and various flavors make them a really special treat. They are a rather casual and everyday kind of traditional Japanese sweet that goes very well with green tea, especially matcha tea. Lets have a more in-depth look at this simple yet very satisfying Japanese dessert. It is said that the first dango were originally made at a tea house in Kyoto called Kamo Mitarashi, located near the Shimogamo Shrine. The name of these sweets is thought to have been inspired by the resemblance of the dumplings with the bubbles made by the purifying water, the Mitarashi River, which flows at the shrine’s entrance. 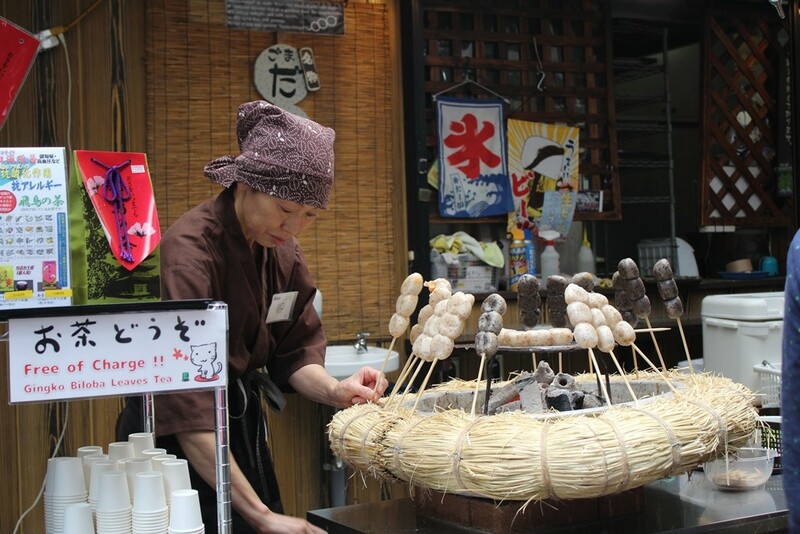 The mitarashi dango used to be served originally skewered with five pieces, the top one representing the head, the next two the arms and the last two the legs. One of the largest events on the festival calendar in Kyoto is the Mitarashi Festival at Shimogamo Shrine. This festival is one of the most solemn and graceful festivals in the country. It has been well preserved since the eighth century when it was first started. Dango are the main offering brought to the deities on festive occasions. The dango brought as offerings usually come in three colors: white, red and green. Dango are a classic Japanese dessert that is available in endless varieties. They taste best with green tea and this combination makes this subtle dessert ideal as a snack or for breakfast. These small dumplings made of rice flour and served skewered on a bamboo stick are really great as a snack on the go. This is the most popular type of dango, commonly available at convenience stores and supermarkets. They are covered with a sweet-salty syrup made of soy sauce, sugar and starch. Anko dango are chewy dumplings coated with red bean paste (anko) and are a very popular traditional sweet treat, loved by children and adults alike. Chadango are a classic green tea flavored type of dango, available throughout the year. Bocchan Dango are a delightful treat that comes in three colors and flavors: red (made with red bean paste), yellow (eggs), and green (green tea). This variety of dango comes from Hokkaido. Made with potato flour and baked with sweet boiled beans, it is a very filling, special treat. Denpun dango are a great souvenir if you visit Hokkaido. Traditionally made during the sakura-viewing season, these dango get their name from hanami - the activity of cherry blossoms viewing (with “hana” meaning sakura flowers and “mi” - viewing). Available in three colors - pink, pale green and white, emulating the cherry blossoms, this sweet is widely enjoyed with friends, colleagues or family on hanami picnics. Kinako dango are dusted with sweet and salty roasted soy flour and taste wonderful with green tea. Mix the tofu and the mochiko flour well with your hands in a bowl. The dough should be not too loose nor too firm. Scoop out heaping teaspoons and roll into balls. 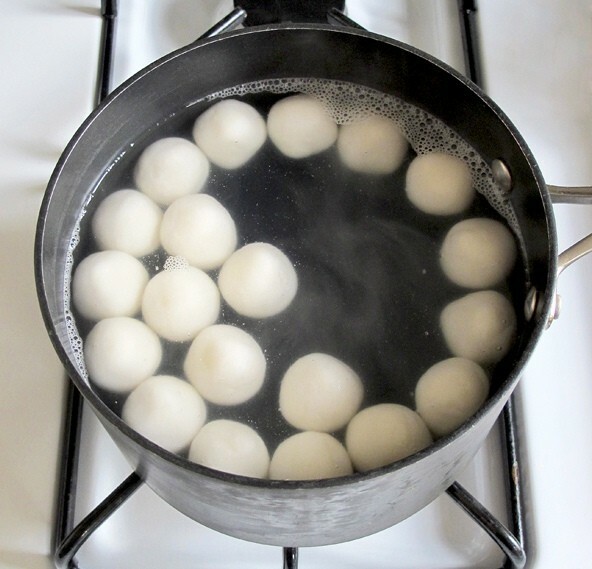 Boil water in a large pot, and cook the dough balls until they float. Once they float in the boiling water, cook 2 - 3 minutes longer, then remove from the water and place onto a plate covered with a paper towel. If you like the anko dango, make a red bean paste (by boiling red beans with sugar) and lay it over the dango. 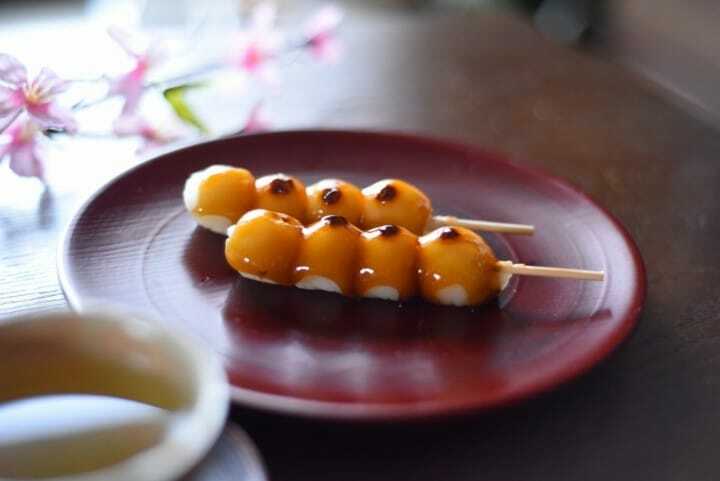 To obtain mitarashi dango, brush them with a syrup made of soy sauce, sugar and starch. Delicious dango of various types can be savored at home with this easy recipe. A trekking to Mount Takao, located in western Tokyo, can be made into even a more memorable experience if you have roasted dango with green tea when you reach the summit. This type of dango is flavored with soy sauce syrup and sesame seeds. This unique flavor along with the amazing views from atop Mount Takao refreshes and rejuvenates one after a tiring day. 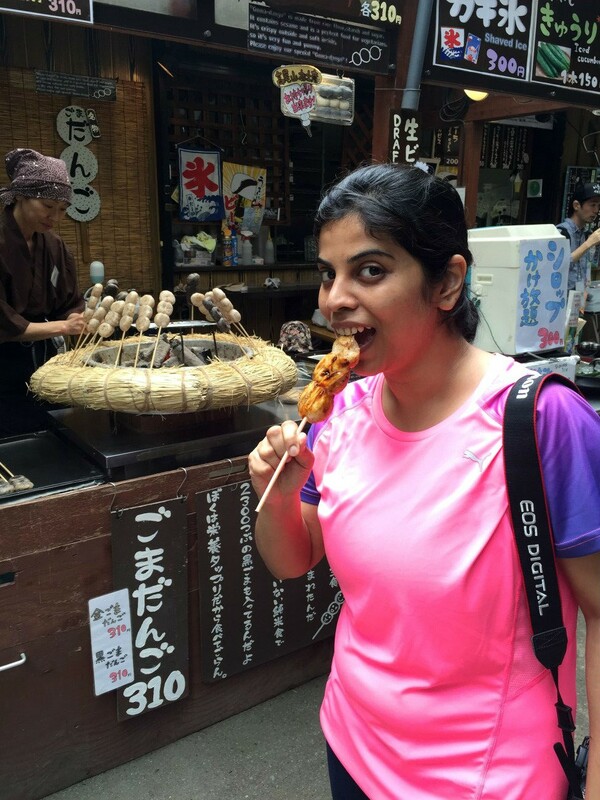 I warmly recommend trying this famous type of dango at Mount Takao at least once. Being in Japan and enjoying one of its special and wonderful desserts is every visitor's dream. If you tried dango and enjoyed them, do let us know! I surely did! 5 Tokyo Cafes With Traditional Japanese Sweets - Try Matcha And Wagashi!